A representative from the extremist Buddhist group Kammaṭṭhāna warns of a “coming storm” of spiritual oneness and enlightenment. ABOVE: Watch a short clip from the Kammaṭṭhāna's 45-minute video. Kammaṭṭhāna, a radical Mahāyāna Buddhism movement, was founded in Nepal in the late 1970s with the explicit mission to spread a fundamentalist interpretation of the Four Noble Truths to all nonbelievers. According to experts, the multinational organization operates somewhere in a remote region of the Himalayas, though the current whereabouts of Rinpoche and Kammaṭṭhāna’s other high-ranking members are reportedly unknown. Kammaṭṭhāna first came to international prominence in 1997, when five of its members boarded a New York City subway car and held 42 hostages in a state of transcendent serenity for seven hours while performing atonal syllabic chants. 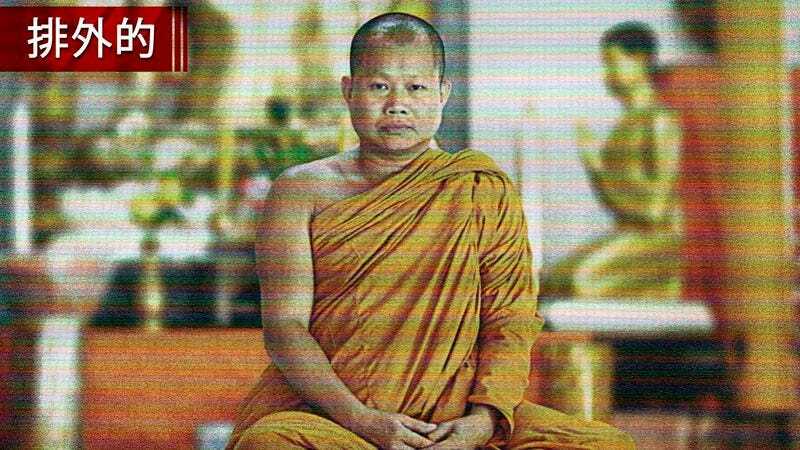 The group then claimed responsibility for a severe 2004 outbreak of interconnectedness in central London, later traced to a 23-year-old Kammaṭṭhāna sleeper cell operative who sat cross-legged in Trafalgar Square and read aloud from The Gateless Gate collection of 13th-century Zen koans. Kammaṭṭhāna claims to gain “thousands of newly reincarnated followers each day” and is reportedly known to recruit many young Buddhists from around the world, training them in tranquil insurgency tactics at covert monasteries across Eastern Asia. At press time, sources confirmed that President Obama has authorized a preemptive strike on Kammaṭṭhāna and deployed a fleet of predator drones to bomb Tibet.